The difference a good battery can make is shocking. Your vehicle’s battery is the source of power for many important components that keep things running. Its main purpose is to feed the starter which, as the name implies, starts your engine. It also supplies additional current when the vehicle’s demand is higher than the alternator can supply – effectively functioning as an electrical reservoir. If your battery is dead, your vehicle isn’t going to start – and that’s no good. When you try to start your vehicle, the cranking of the engine sounds sluggish and is slower to start than normal. You’ve probably heard the ‘ruruuurrruurr’ starting sound, and it’s caused by a battery on its last legs. If your battery appears to be inflating like a balloon, you likely have a battery that’s gone bad. Excessive heat can cause the battery casing to swell, which will drastically decrease your battery life. 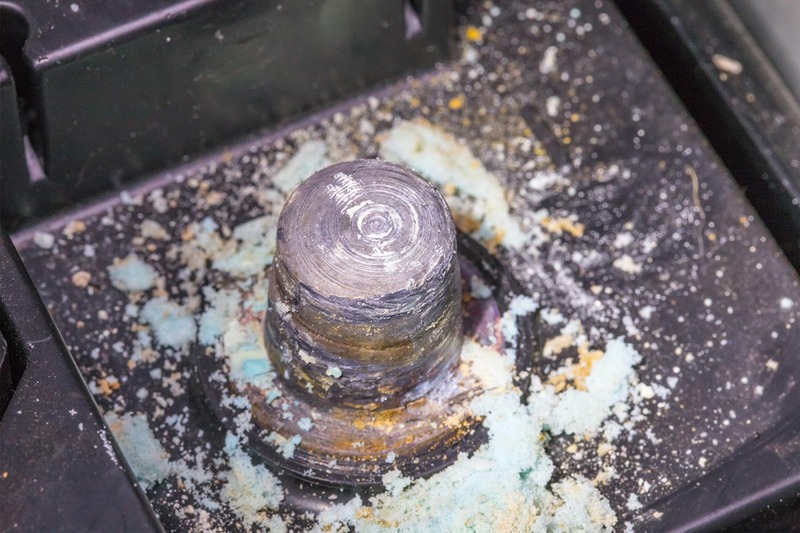 This sulfuric odor is caused by a leak in your battery – which also causes corrosion around the posts of the battery. This corrosion needs to be removed or your vehicle may not start. The check engine light can mean a lot of things, and one of those things is a weak battery. 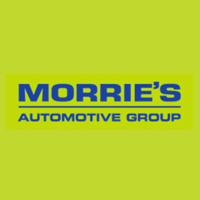 If your check engine light comes on, the best thing to do is bring it in to Morrie’s so that your vehicle can be diagnosed by a professional. A car battery can last well beyond three years, but it’s a good idea to get it checked out at the three-year mark and every year thereafter. Battery lifecycles range from three to five years depending on the battery, operating conditions, and climate. Q: There’s a powdery, white/blue/green substance on my battery terminals – what is it? A: The short answer: corrosion. Corrosion is caused by a chemical reaction between the battery, clamps, and other elements in the air under the hood. If there’s corrosion on the positive terminal, your battery is probably overcharging – but generally, it’ll be on the negative terminal because the battery is in an undercharged situation. Corrosion, if left unchecked, can cause problems with starting your vehicle – so don’t let it get out of hand! 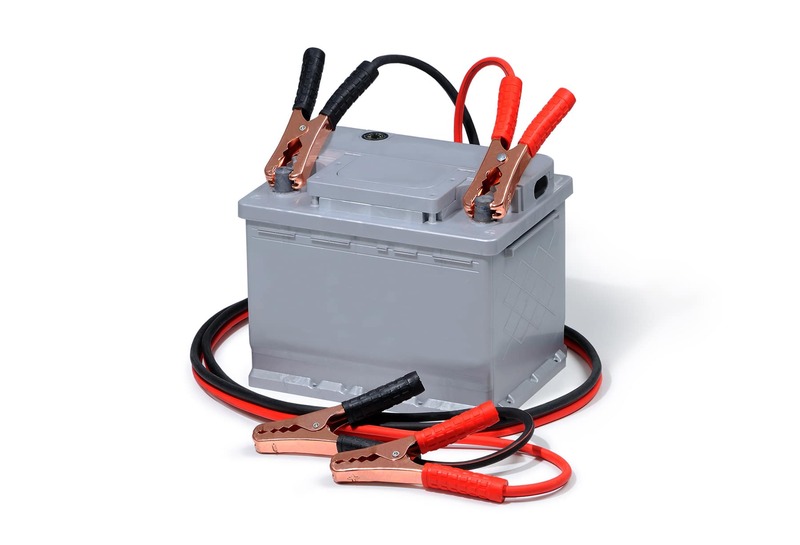 Q: When fully charged, how many volts should a car battery have? A: A fully charged battery should measure around 12.6 volts or above. When the engine is running, your battery should clock in at somewhere between 13.7 and 14.7 volts. Q: How does extreme cold affect my battery? A: Excessive cold slows down the chemical reaction that occurs inside your battery, while also increasing electrolyte resistance. It’s important to keep batteries fully charged during the winter months, since batteries in a discharged state are more likely to freeze – which can cause damage to the plates and battery container. Additionally, vehicles demand more from a battery when the temperature drops below freezing since oil thickens and makes the engine harder to crank. Q: Can a bad battery do damage to my vehicle’s charging system or starter? A: Yes – these parts can malfunction because they’re drawing more voltage than they should have to in order to compensate for a lack of power from the battery itself. If left for too long, a bad battery could force you to replace other expensive electrical parts!